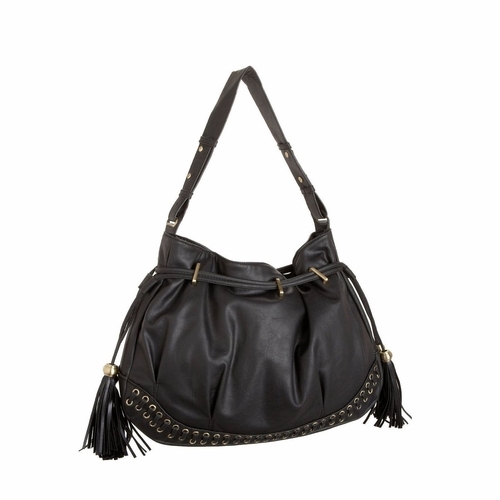 I do love bags with embellishments and fancy accessories on them, but on Silvia's Handbags, I found a Melie Bianco Fringe Hobo Bag that I absolutely adore! It's slightly decorated, but it can still be worn everyday and pretty much with any outfit. I like the black because it's such a neutral color. I love the fringe too because it's perfect for any time of year and kind of off sets the size of the bag. What do you think? This bags looks pretty good and I really want to have one like this!